One development, lots of options. University City was the first project developed in the framework of the Brentwood LRT Station Area Redevelopment Plan. GEC’s challenge was to design buildings for three adjoining sites between a major causeway and residential neighbourhood. This project focuses on transit orientated development design guidelines to create mixed-use, pedestrian friendly, safe, and vibrant community which caters to a number of uses. 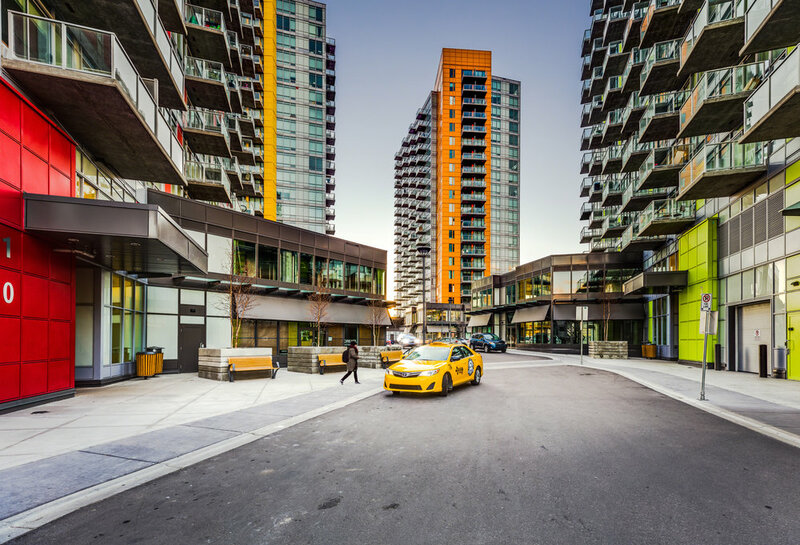 Completed in early 2014, the development provides a mix of densities and scales that respond directly to the adjacent urban fabric and provide the community with various amenities. Towers A and B are 18 storey residential towers totaling 120,000m2 with main floor retail spaces and two levels of underground parking. To maintain affordability, unit sizes are modest and designed to be efficient; the emphasis is on usable space and less on traditional spaces such as formal dining, living rooms, and entry vestibules. Completed in 2016, the second phase of the University City Development, Buildings C and D, provides additional apartments within the Brentwood TOD area. 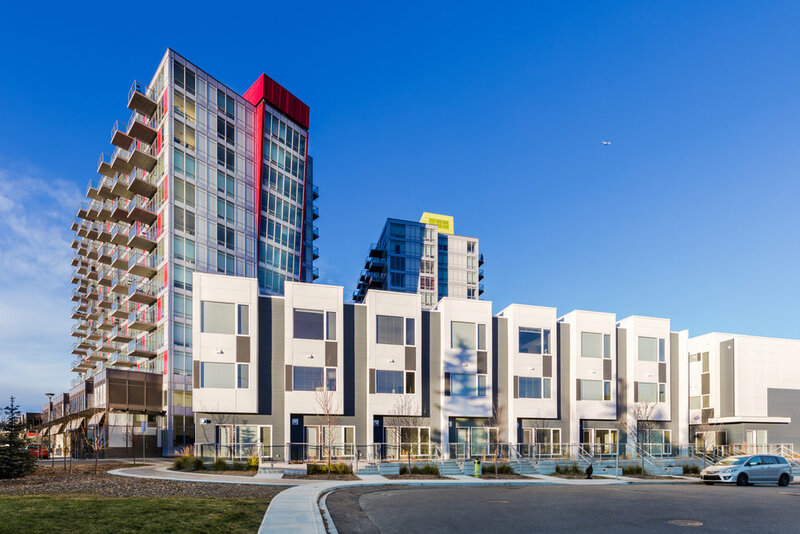 Designed with the students and young professionals in mind, the units offer contemporary, affordable housing close to grocery stores, the LRT, two hospitals, the University, and SAIT. True to a multi-use development, the main level of both buildings provides retail space to promote a vibrant pedestrian environment. At 8 storeys and a combined area of 1, 291,670 ft2, the buildings are designed to be shorter than buildings A and B to reduce the obstruction to nearby standalone residential neighbourhoods. Buildings E, F and G provide townhouse style living at a residential scale within a transit oriented development setting. Adjacent to the neighbouring community, the townhouse and bungalow style condos comprise a total of 31, 700 ft2 and were completed in late 2016. This style of residence provides affordable, compact housing on a slightly larger scale than the apartment style residences, and is still near numerous amenities and retail developments.